I was just thinking again about being home and remembered one of the cutest interactions of my pregnancy. 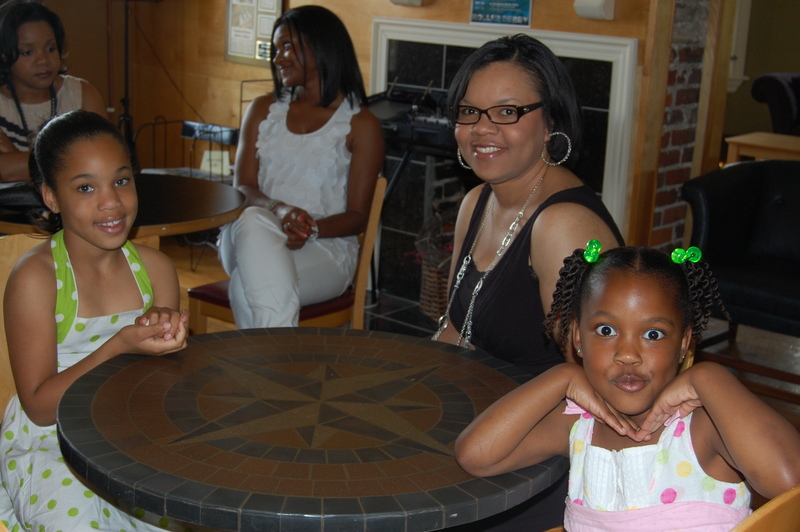 One of my “big sisters” who I’ve known since I was a college sophomore and the older sister of one of my dearest friends, Adrienne, came to my shower with her two cutie pie daughters in tow, who were mini hostesses for the event. When we were all wrapping up and getting ready to leave, Taylor and Sidney asked me to tell the baby they said hi when he comes out. And I told them they could tell him right then because he can hear them! So they excitedly greeted him (and Sidney waved while saying hi–too cute! ), and he started kicking! Their eyes got big, and all three of us grinned. It was such a perfect moment. Hope everyone is having a great end of the week!! !